Later this year, on November 20th, Heston Blumenthal is introducing a new gin to his Heston from Waitrose range and it’s perfect for gin drinkers looking for a quick and easy cocktail. Famous for his intricate recipes and attention to detail, Heston’s latest offering is aimed at those seeking the best but without the stress for lovers of the simple life – a gin that requires no garnish. Packed with citrus flavours and unusual botanicals, the spirit needs nothing more than some tonic water and ice to create the ultimate lazy G&T. 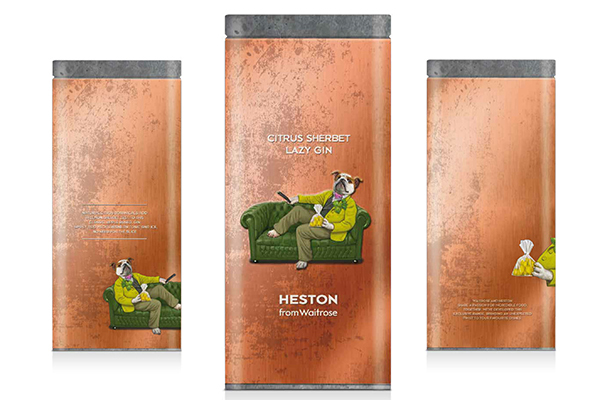 The Heston from Waitrose Citrus Sherbet Lazy Gin, (£24.99/70cl) is an apple-based gin made using natural citrus botanicals including lemon verbena, lemon thyme, basil, eureka lemons, Persian lime and liquorice root, lemon peel and pink grapefruit peel. The gin has a fresh, summery aroma with a touch of lemon sherbet. Heston recommends the Citrus Sherbet Lazy Gin is served with Mediterranean tonic water, ice, no slice. Cheers!